Visualisation of the proposed Ely bypass with road bridge with walkway attached from the River Great Ouse. Get a feel for the finished result by taking the visualisation tour below. 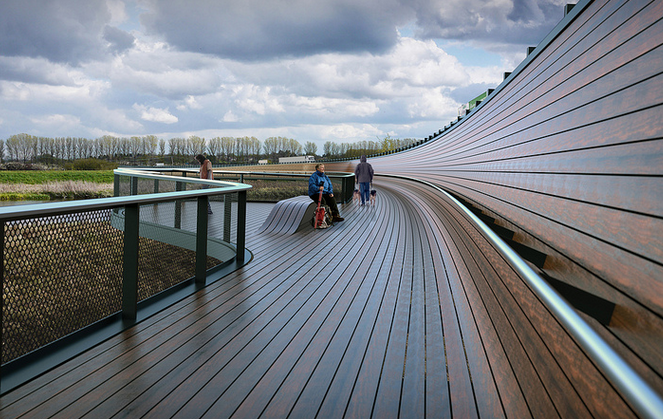 Visualisation of the walkway attached to the proposed Ely bypass, showing the decking and the viewing platform.